Glitter Paint has a very intense Sparkling Finish and is awsome for arts and crafts. This paint has a special effect that will set off your painting project. This glitter coating has been manufactured to adhere to plastic, metal, wood , glass, ceramics, foam and paper. AThis special effects coating is the right finish for your job. Rust-Oleum has been manufacturing paints and coatings company since 1921. 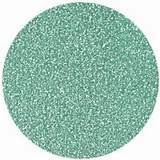 This glitter finished paint comes in multiple colors with an easy aerosol spray application. Factory colors include red, gold,. silver, pink, purple, green and a clear sealer. The clear sealer helps seal all of the glitter particles into the coating. The possibilities are endless when it comes to adding this Rust-Oleum product to your project. The best function is the ability to spray on the glitter paint. This helps you contain your mess. Anyone who has used glitter in their projects has earned just how dificult it is to contain the slitter speckles. A pinch of glitter can travel throughout your house in a hurry. Rust-Oleum has helped eliminate this problem by adding the glitter into the aerosol can for ease of use, and the additional clear topcoat as a final coat to seal in the speckles. I strongly urge you to give Rust-Oleum Glitter Paint a shot. You wont be disappointed with the performance and ease of achieving this dazzling finish. As they say at Rust-Oleum "Spray On The Sparkle!" Remove all dirt, grease, oil, salt and chemical contaminants by washing the surface with a commercial detergent, or other suitable cleaning method. Rinse with fresh water and allow to thoroughly dry. Remove loose paint and rust with a wire brush or sandpaper. Lightly sand glossy surfaces to create a surface profile. WARNING! If you scrape, sand or remove old paint from any surface, you may release lead paint dust. LEAD IS TOXIC. EXPOSURE TO LEAD DUST CAN CAUSE SERIOUS ILLNESS, SUCH AS BRAIN DAMAGE; ESPECIALLY IN CHILDREN. PREGNANT WOMEN SHOULD ALSO AVOID EXPOSURE. Wear a NIOSH approved respirator to control lead exposure. Clean up carefully with a HEPA vacuum and a wet mop. Before you start, find out how to protect yourself and your family by contacting the National Lead Information Hotline at 1-800- 424-LEAD or log on to www.epa.gov/lead. Shake can vigorously for one minute after the mixing ball begins to rattle. If mixing ball fails to rattle DO NOT STRIKE CAN. Contact Rust-Oleum. Shake often during use. Hold can upright 12-14” from surface and spray in a steady back-and-forth motion, slightly overlapping each stroke. Keep the can the same distance from the surface. Keep the can in motion while spraying. Apply two or more light coats a few minutes apart. Do not use near open flame. Dry and recoat times are based on 70ºF and 50% relative humidity. Allow more time at cooler temperatures. Dries to touch in 20 minutes, to handle in 1 hour, and fully dry in 24 hours. Recoat at anytime. If the valve clogs, twist and pull off spray tip and rinse in a solvent such as mineral spirits. Do not insert any object into can valve opening. CLICK HERE to learn more about glitter paint at the RUST-OLEUM website.